Indian cars have good practicality but lack in safety features. It’s not new that many Indian cars have failed to pass the NCAP crash tests conducted on them. Tata recently came up with new cars which had impressive sales for how good they were. One among them is the Tata Zest. Tata zest comes with a 1.2 litre petrol engine with 90 PS and 140Nm of torque and a 1.3 litre diesel engine making 75 /90 PS and 200 Nm of torque. What makes a good car is a great engine and safety features that let you walk away to enjoy the car another day, in case you crash it somewhere. 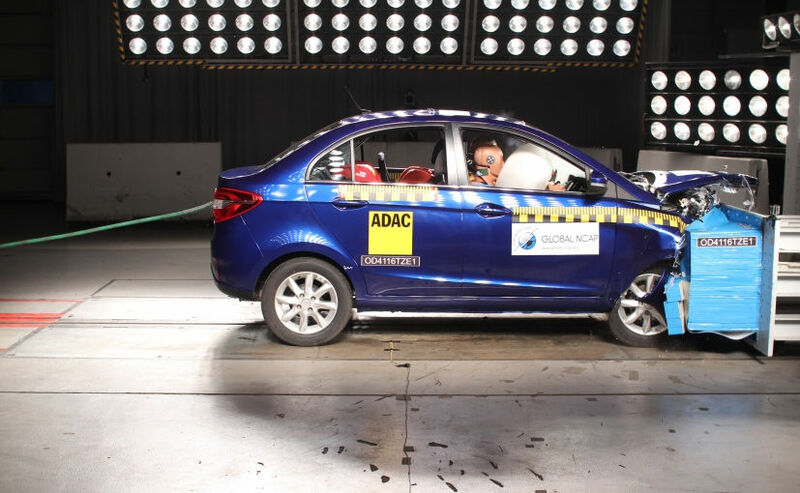 To test this, Global NCAP conducted crash tests on the new Tata Zest to find out how robust the Zest is. Tata Zest scored an impressive 4 stars in the test conducted. Note that the variant that scored 4 stars was equipped with dual airbags in the front. 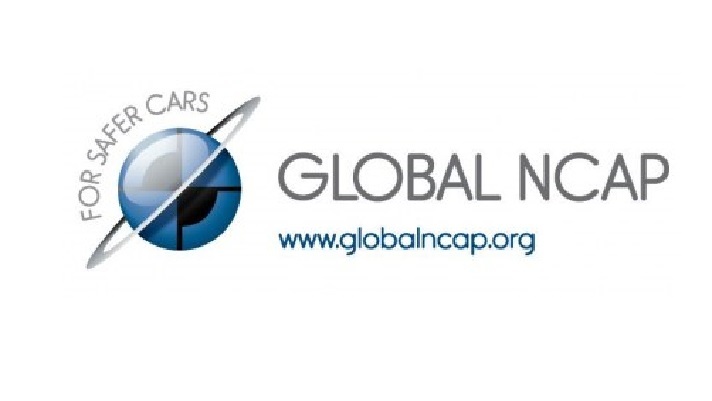 Global NCAP also conducted the test on the variant without airbags and its sad to say the car scored a 0 for the driver and a 1 star for the passengers in the crash test. 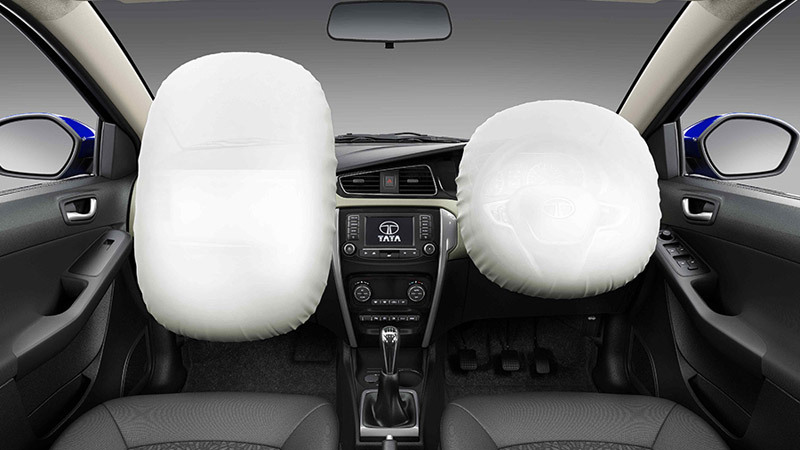 Airbags are not available on all the variants of the Zest and Tata encourages people to buy a higher variant of the zest with better safety features. Its good to see Indian cars scoring high in the crash tests and we feel the government should make safety features such as ABS and airbags mandatory in all the cars to stop people from having fatal accidents. Check out the video of crash test being conducted on the dual airbag variant of the Tata Zest. Follow us on Facebook, YouTube and twitter for more such news.